today’s first two books are light, entertaining and perfect for Anglophiles. The third is instead a very emotional and powerful memoirs about clinical depression. I hope you will enjoy these reviews, and let me know if you’ve read these books, or plan to. The British often say one thing but mean another. And they do that in every walk of life, from politics to sports, from relationships to work. Even something as simple as “nice weather we’re having” can have a double meaning. To help you navigate, and make sense of, this secret language, Martin & Simon Toseland have written Leaves On The Line, a short volume full of expressions the English use everyday. Then, the authors explains, in a witty and satirical, way what they really mean. It’s a good laugh, but also very accurate and truthful. If you plan to visit the UK, love all thing British, or simply want to know what the heck they are talking about, check out this book. It offers a very entertaining way to spend an afternoon. The British may like to boast, but they certainly have many reasons to be proud of themselves. Richard Happer chose 365 of them, one for every day of the year. They range from Margaret Thatcher’s contribution to ice cream, to the shortest war in history (it lasted 38 minutes), from stereo sound to the longest running science fiction show. It’s a short collection of trivia that will make you realise how creative, adventurous and inventive the British people really are. However, every entry is really short. You only get the bare facts, which I thought was a shame. I understand that this is supposed to be a short and entertaining trivia book, but still there were many times when I would have liked more information on a certain discovery or tradition. 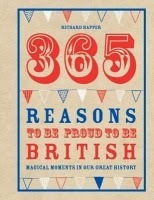 There were also a few errors here and there, but overall, I would still recommend the book to all Anglophiles out there. It’s a fun read with lots of interesting facts about their favourite country. Ann Keiffer had it all: an exciting career, a loving family and close friends. And yet, she became clinically depressed. 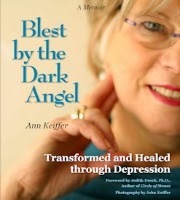 In this memoir, Keiffer talks candidly and honestly about her illness and how she eventually was able to overcome it. Not only that, but she came to consider her depression a blessing that helped transform her life for the better. Keiffer’s story is unfortunately very common. What’s not so common is the outcome. There is still a stigma attached to depression that prevents many people even from admitting they have a problem and seek treatment. By sharing her story, Keiffer hopes to help other people who are suffering from the same illness, showing them that there is hope at the end of the tunnel, and that healing is possible. If, instead, you know someone who is suffering from depression, the book will give you a better understanding of what it is they are going through, of that hopefulness, sorrow and deadness they feel inside that prevents them from enjoying every aspect of their life. And even if you don’t know anyone who is clinically depressed, the book is still an informative and insightful read. Depression is something that can happen to anyone, at any time. That’s why it’s important to know what it is and talk about it, so that we can finally consider it as the illness that it is rather than something to hide and be ashamed of. Keiffer, with the help of her photographer son, has also created an exhibition about depression. The pictures, together with the accompanying poems written by Keiffer herself, are also included in the book. They were my favourite part of it actually. They’re so raw and true and perfectly capture what depression is about. In addition, you will also find some common facts about depression (including symptoms, statistics and busted myths) at the beginning of the book. Overall, an insightful and emotional read that I recommend to anyone who wants to know more about depression.